For a general map of the Kyklades, click here!(55K). To go back to the Kyklades main page, click here! Amorgos is a barren island on the eastern side of the Aegean, structured North-East, South-West and about 123 square kilometers in size. The tallest mountain on the island is Krikelos (Alt. 826 meters) and around it are many lovely forests adorned with fir and pine trees. The island gives a wild view to the visitor and because of its hilly nature hard to walk about. It contains many archaelogical sites, and some very fine beaches interspersed with wonderful quiet bays. Transport: Amorgós is served by ferry boat from Pireaus between 2 or 4 times per week, depending on the season. It takes about 8 to 9 hours to get there (info: 01/ 4226000). From Rafina, there are also many trips and it takes about 10 hours (Info: 0294/ 22300). From Amorgos, there are ferries to Syros and Astipalaia, Kalymno and Kos. During the summer there are ferries to Mykonos, Naxo and Paros. There are crossings througgout the year to Eastern Kykládes (Donousa, Irakléa, etc). It also connects to the Eastern Kyklades, throughgout the year (Ios, Naxo, Paros etc). 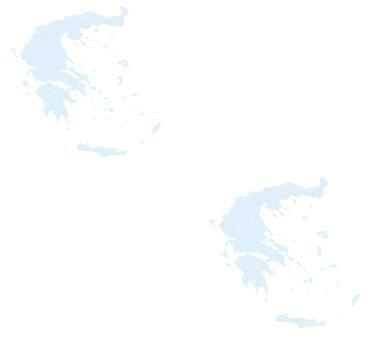 In addition there are Hydrofoils and Jetfoils that connect Piraeus with Amorgos (6 hours) and from Amorgos to Io, Mykono, Naxo, Paro, Santorini and Syro. For more informatin on hydrifoils contact: 01/4225010. Amorgos is the main town on the island and is in the center of the island. There is a Venetian castle on the town and many dual churches (typical of the region) are found here. The whitewashed houses, the flower-full balconies, the churches, the windmills and pebble roads make up for the town of Hora. here to download 80K ISDN and above file. The Monastery (Moni) of Hozoviotisis is one of the most impressive buildings from the Byzantium era. It was built ontop the peak Prophet Elia, in 1088 during the reign of emperror Comninou. The story of the name comes from a woman who came from the island of Hozovos of Western Asia (modern Turkey) and who had hidden three icons during the time when Icons were banned, in a cave near the sea. One of the icons was taken by the sea and was deposited in the south part of Amorgos. By chance it was an icon of the virgin Mary with a candle lit in front of the icon. The locals run to the place took the icon and by chance, a few days later, saw a nail driven into the mountain where the monastery lies today. Thus, it was built. This is a lovely beach with shade from the plethora of trees that abound the area. A lovely sea resort town with a beautiful beach. Swimming should be compbined with spear-fishing(be careful!) full of fish such as cod, plaice, sole, octopus and redmullet. A village full of archaeological ruins. This is one of the nicest village with beautiful streets and houses with gardens full of vines (from which local wine is made - ask to taste the local retsina). A large and rich village, built on the side of a hill. Adorned with nice "cycladic" houses, olive trees (ask to buy some local oil) and stream of crystal clear mountain water. A village where every August 15 there is a street fair (Panigiri). August 14, all the residents of the island visit the church of Panagia, just outside the nearby village of Lagkada. Aftewards dinner is available called Koftos (also known as chick-peas). In the morning, breakfast is composed of Patsas(stomach tripe) and for lunch there is meat with potatoes. In the evening of the 15th, there is a big feast accompanied by local dances by local people dressed in typical Amorgos dresses. Koinotiko, 0285/71257, holds up to 100 tents, on tyhe beach and has super market, taverna, music. Many more are available. Contact the Tourist police for info: 0285/71210.